Paul Miller Racing is the current IMSA* WeatherTech Series Championship Racing Team. We create sales collaterals for PMR, racing the legendary Lamborghini Huracán. PMR-driven Lamborghinis won the 2018 WeatherTech Series Championship on the IMSA North American Racing Circuit. Previously, the team placed First in the 2016 Rolex 24 time trials at Daytona and First at Virginia International Raceway (VIR) in the 2016 WeatherTech Series. Paul Miller Racing’s 2016 victories coincided with the Centennial Celebration of the birth of Ferruccio Lamborghini—founder of one of automotive history’s most iconic brands. 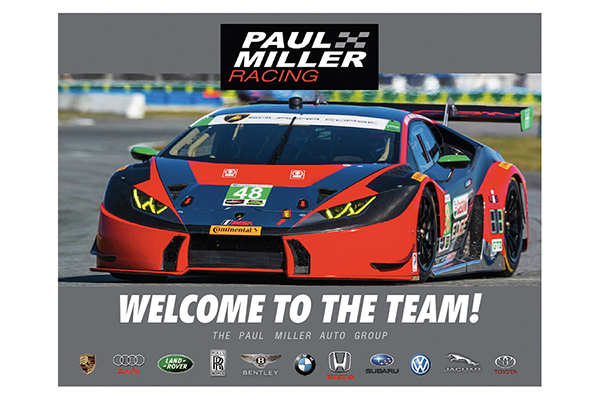 Paul Miller Racing is the brand ambassador of the Paul Miller Auto Group, one of New Jersey’s and the nation’s largest luxury auto groups including Bentley, Rolls Royce, Jaguar, Porsche, Audi, BMW, and Land Rover among other premium auto dealerships. *International Motor Sports Association, a unit of NASCAR. 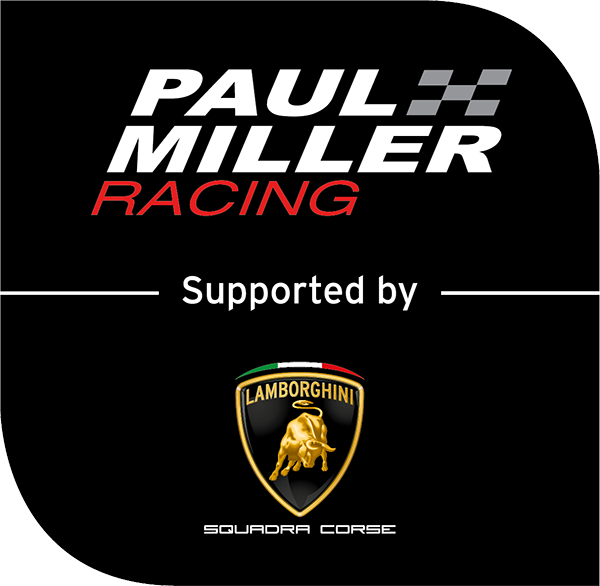 As direct results of sales presentations using our collateral design and copy, major brands are sponsoring the winning pairing of Paul Miller Racing and Lamborghini. Our work assists prospective sponsors to recognize the combined advertising power of this exceptional team and IMSA Racing, the market penetration they deliver and the brand loyalties they help maintain. Learn how we can help your team and brand race to the top, as well.